I have been in private practice, and Registered with BC College of Psychologists since 2004. From 1990 – 2013 I served as police officer in the RCMP where I worked in a variety of roles from uniform and plainclothes through to human resources, conflict resolution, change management and health services. I have worked in municipal and provincial detachments, as well on national initiatives. I have spoken across Canada on trauma issues in policing including to the Canadian Association of Chiefs of police. I have conducted many training sessions nationally on conflict resolution, trauma, CISM, resilience, and psychologically healthy workplaces. In 2012 I was awarded the Queen’s Diamond Jubilee Medal for my work in the area of trauma and resilience in policing. 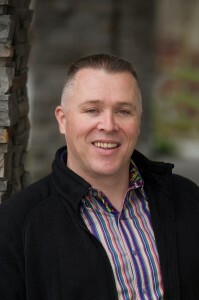 Since 2004 I have also served as an Adjunct Professor in the Department of Counselling Psychology at the University of British Columbia, where I have taught Group Counselling, Advanced Group Counselling, Career Counselling, and Trauma Counselling. On a personal note, I have been married for over 20 years, with a daughter, and house full of pets. The following pages will tell you more specifically about my approach to counselling and psychotherapy, and may help you decide if I might be a good fit for you.